I can clearly remember watching my first pre-flight safety briefing on my first commercial flight, this was way back in the days when the only mobile, was a thing hanging above a baby's cot and social networking was going to the local park to play on the swings with your mates! 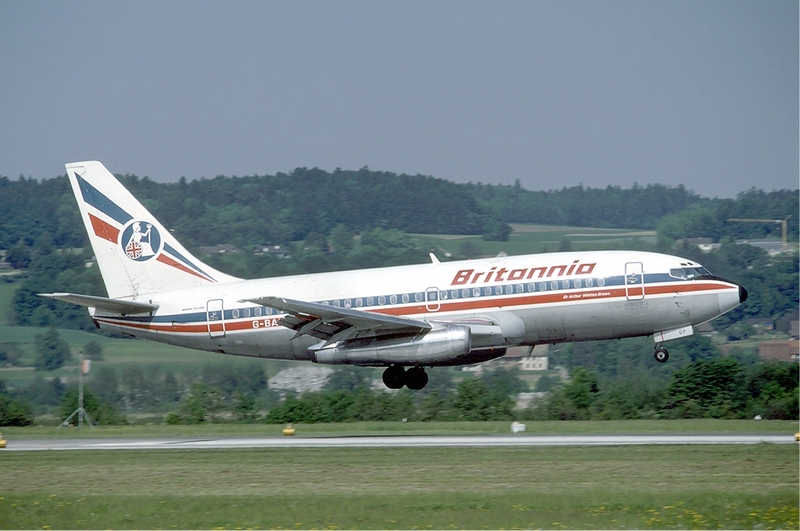 Of course, back in those days, the safety briefing I was watching was a manual one done by two cabin crew on a Britannia Airways Boeing 737-200. I was transfixed by them pointing out the exits, telling me a lifejacket was under my seat and so on. 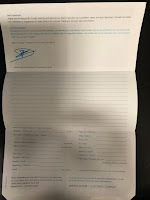 It was for me then and to a certain lesser extent these days the true start of the plane journey, the doors are closed and the aircraft is usually on the move around the taxiways heading towards the runway. It's like you know you're really on your was because the crew are doing the safety briefing. Over the years I've seen so many briefings, by so many crew members, done in different styles, in different languages and of course on a multitude of different aircraft types. Over recent times, the trend has been to move towards a video presentation for the safety briefings, which we're told, attract more attention from the seated passengers than a member of the crew standing at the front doing funny things with oxygen masks and pretend blowing into a lifejacket top up tube. Some of these videos have been serious, straight-faced and to the point, while others have been amusing, funny, others have included famous sportsmen and women. A number have also included those famous faces from both the big and small screen top tell us the do's the don't's on the flight we're about to embark on. However, the latest of such safety briefings comes from a toy I had back in the days of my first flight! Although it does look a little different these days, it has even spawned a number of highly successful movies! We're talking Lego and the latest safety briefing video from Turkish Airlines. 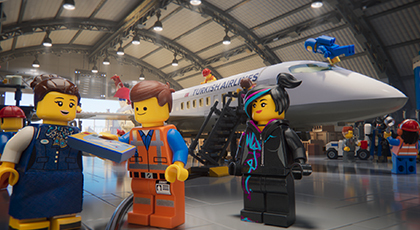 The new animated safety video features familiar LEGO® minifigures in surprising new roles and was created by the team behind “The LEGO Movie”, “The LEGO Batman Movie”, “The LEGO NINJAGO® Movie” and the highly anticipated sequel “The LEGO Movie 2”. The safety video, which is the first LEGO safety video ever made, demonstrates step-by-step safety procedures to passengers in a fun, unique style, complete with sensible airline-approved humour, celebrity cameos and a song and dance number. This isn't the only LEGO themed thing from Turkish Airlines, to celebrate the worldwide release of “The LEGO Movie 2” Turkish Airlines will roll-out a global TV campaign, film-themed wrapped aeroplanes, in-flight and in-airport activations and even a second safety video - ohh I can hardly wait!